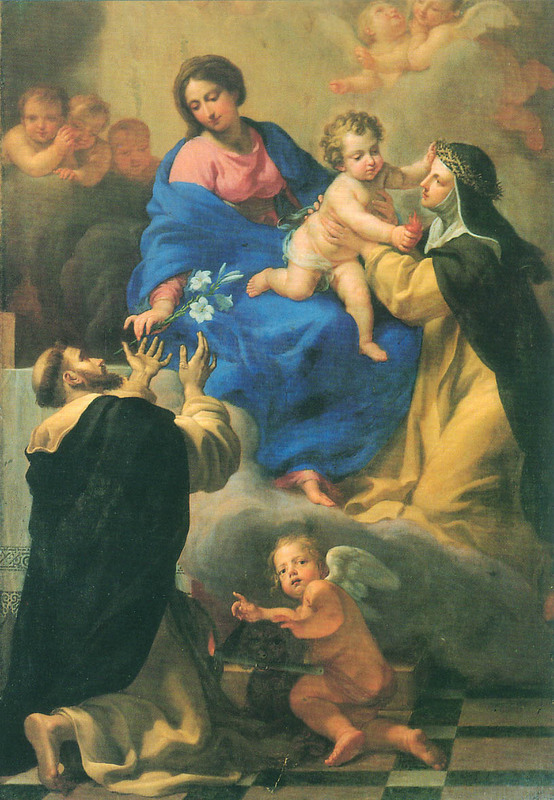 St. Catherine (1347-1380) was a responsible instrument for the return of Pope Gregory XI from Avignon to Rome. In deed and in truth, she showed her love for God’s Church and the Roman Pontiff. With her short life she gave us a lesson of courage: the courage of telling the truth for love of the Church and of souls. 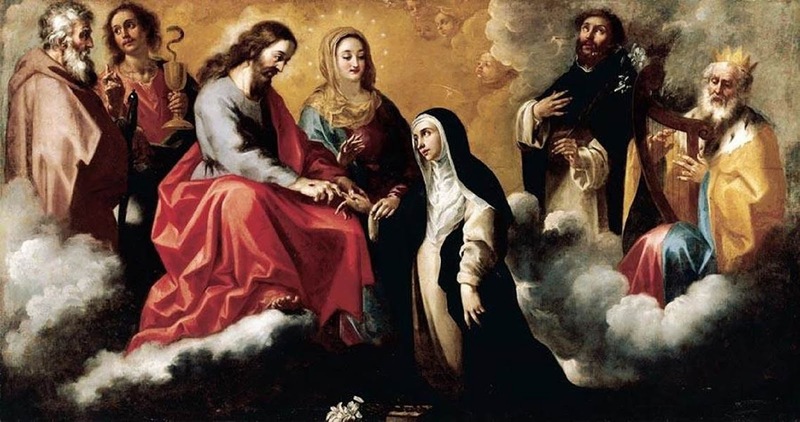 Imprinted with the sacred stigmata, she died in Rome at thirty-three years of age. She was proclaimed patroness of Italy on 18 June 1939. In 1970 Pope Paul VI proclaimed her Doctor of the Church. Cordially inviting you to like and follow www.facebook.com/CatholicsstrivingforHoliness and share our posts to help more people in their Catholic faith and life. Thanks! Fr. Rolly Arjonillo. ℟. Now that you are endowed with the gift of my Spirit, cleansed from all stain by the outpouring of my blood,* leave the quiet of contemplation and resolutely take up the work of witnessing to my truth, alleluia. ℣. Open your heart to me, my sister, co-heir with me of my kingdom; my beloved, who have understood Truth’s hidden mysteries;* leave the quiet of contemplation and resolutely take up the work of witnessing to my truth, alleluia. 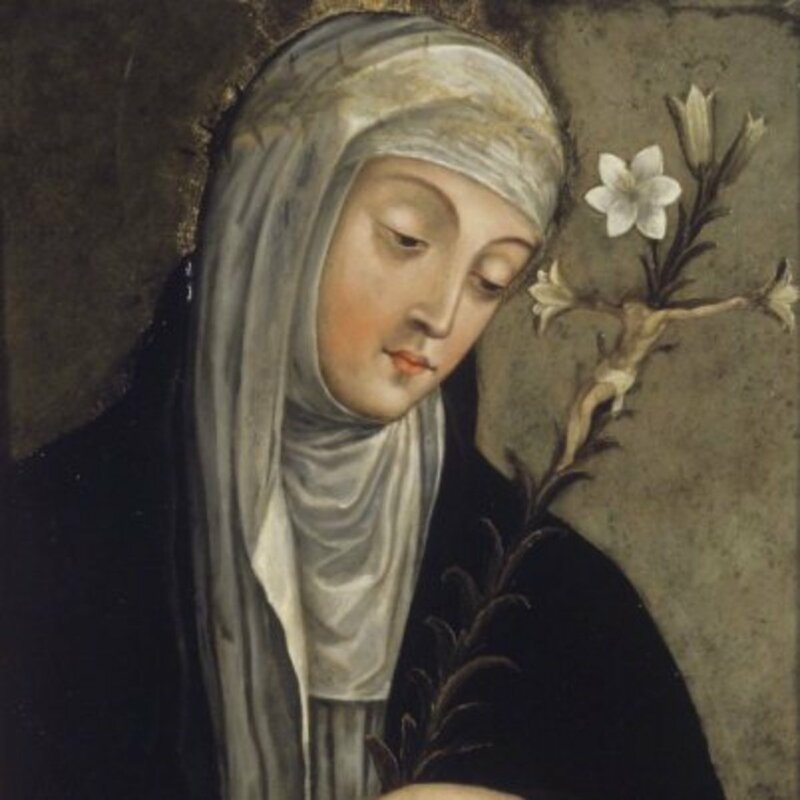 O God, who set Saint Catherine of Siena on fire with divine love in her contemplation of the Lord’s Passion and her service of your Church, grant, through her intercession, that your people, participating in the mystery of Christ, may exult forever in the revelation of his glory. Who lives and reigns with you. SAY MANY ACTS OF LOVE DURING THE DAY. WHICH TO FOLLOW: FEELINGS OR REASON?